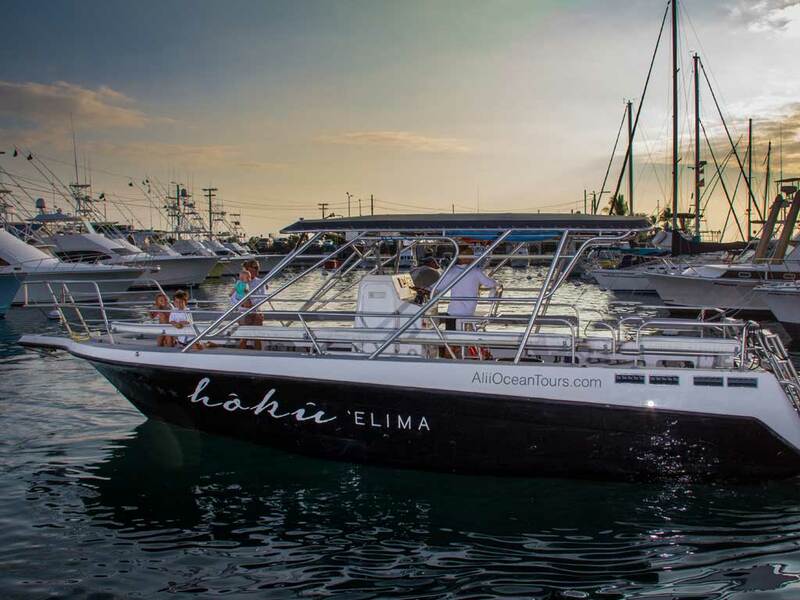 While certified to carry 35 passengers we prefer to run our ocean tours with half that to maximize space and heighten the experience for everyone aboard. 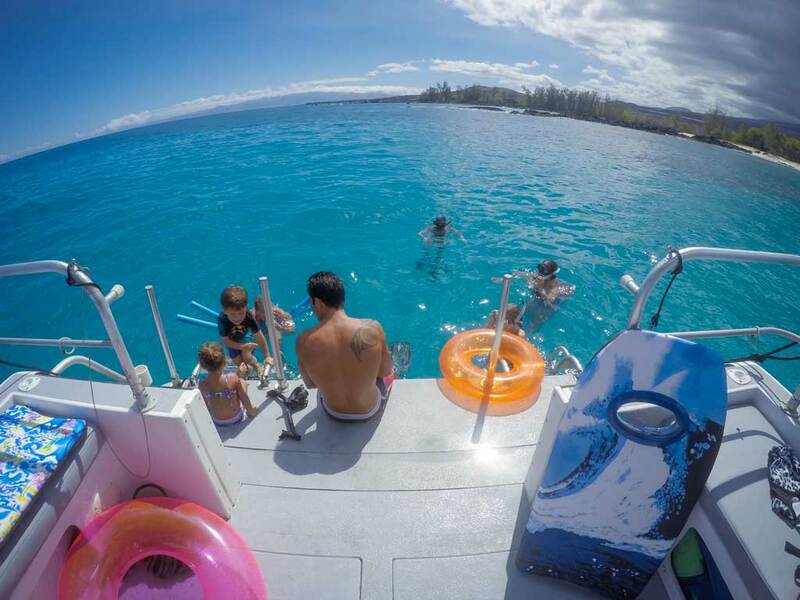 We make sure all of our passengers have plenty of room to relax as well as receive service you won’t find on any other Big Island snorkel tour. 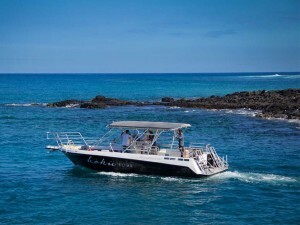 Whether it’s an unforgettable experience with Kailua Kona’s local Hawaiian spinner dolphins, snorkeling world famous Kealakekua Bay or customizing your own private charter, you’ll forever remember your trip as a highlight of your Hawaiian vacation! Relax and look at the fish. We take care of everything. See Hawaiian Spinner Dolphins in their natural habitat. Book Online! 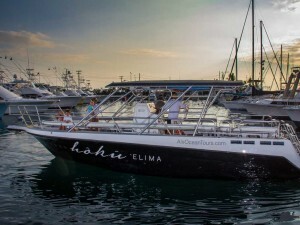 Reserve the entire boat and choose your adventure. Book Online! Humpback whale viewing at its finest. 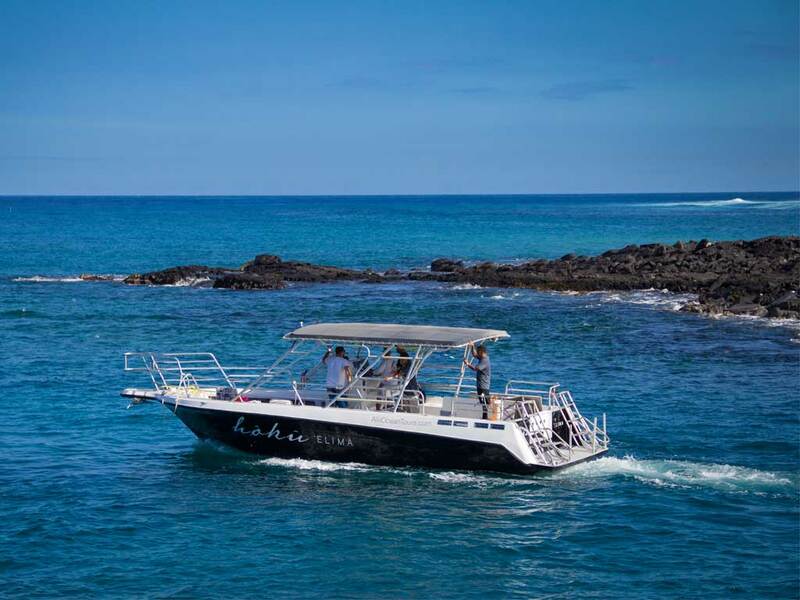 "We have gone on many snorkel and dive boat trips over the years, and our morning with Ali'i Ocean Tours was far and away our best tour." "The best tour we've ever done. 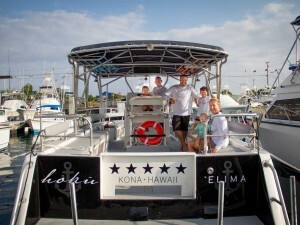 "We had a blast and will definitely be booking another trip with them next time we are on the island." "Such a great crew! Made our time in Kona very special and we got to see so much! ...Thanks for the 5 star adventure!" We offer a full refund on cancellations more than 24 hours prior to departure. I have specific dietary need. Can you accommodate? Yes, we can! Just make sure to let us know when you book your tour so we can make arrangements. We can provide Paleo, Gluten Free, Vegetarian, Kosher, and Vegan meal options. Our 38 foot Thresher, equipped with state of the art Volvo Penta engines, is the perfect combination of speed and comfort.